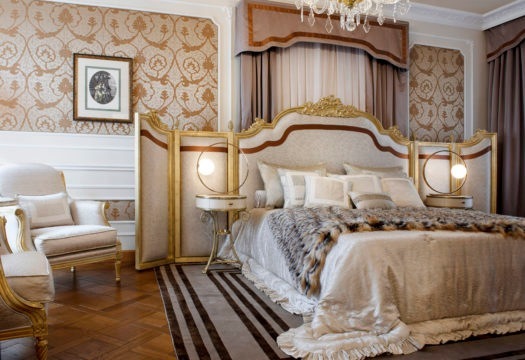 Baglioni Hotel Carlton and Jumbo Group, two examples of all-Italian excellence in the luxury hotel and furnishings sectors, join forces for the first time in a project that combines design and hospitality. 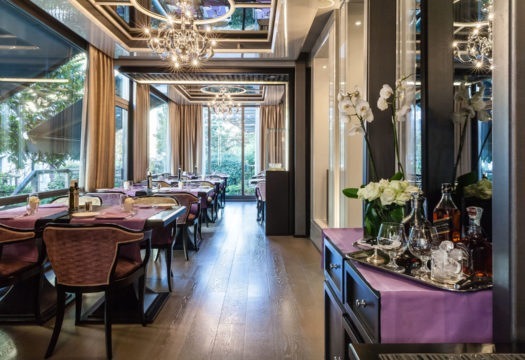 The project by the architect Livio Ballabio, creative director of Jumbo Group, reinterprets the spaces of the Montenapoleone Terrace Suite and Caffè Baglioni, thanks to the refined charm of two furnishing collections of the group. 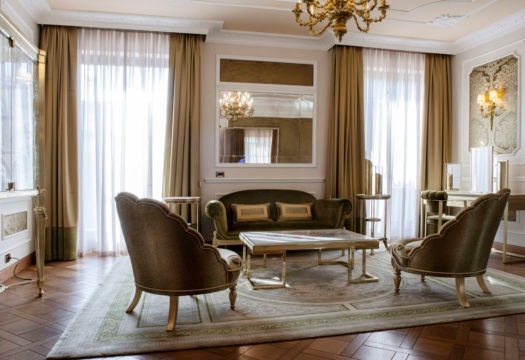 In the main apartment of the Montenapoleone, the hotel’s finest suite, the protagonist is the classic Jumbo Collection, deployed in the delicate color range of beige and olive green tones, enhanced by touches of gold. 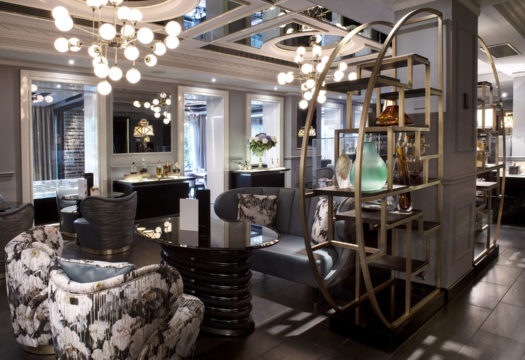 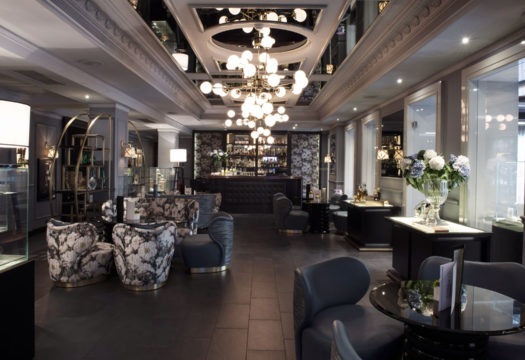 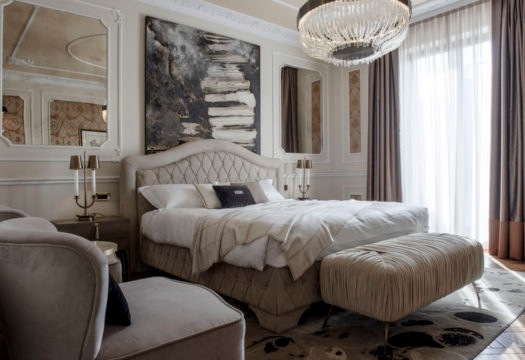 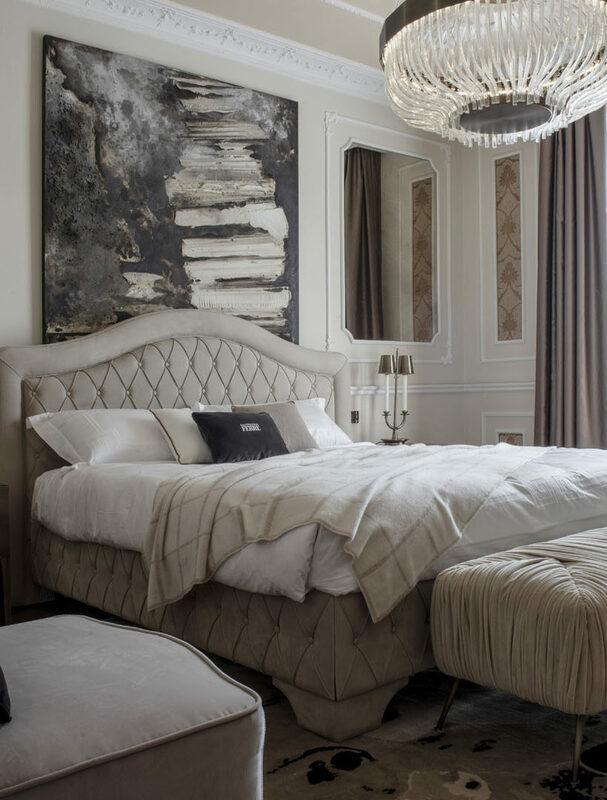 The luxurious, eclectic atmosphere is rounded out with furnishings in glass and fine marble, including onyx. 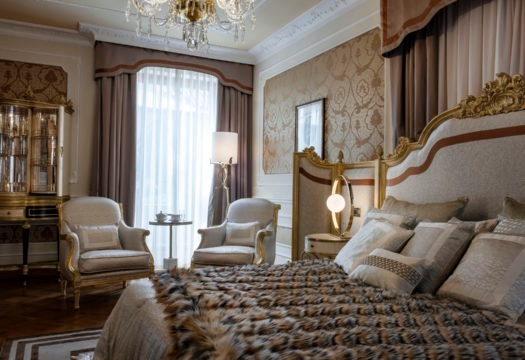 Connected to the main apartment, the junior suite features the style of Gianfranco Ferré Home, combining a range of mastic and bronze tones with leather and velvet. 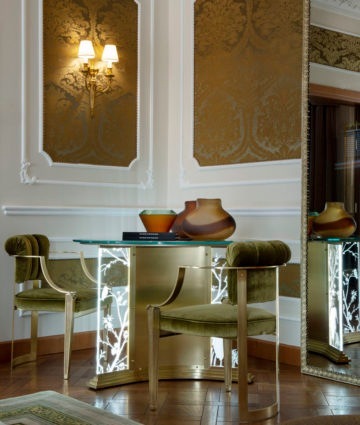 The Gianfranco Ferré Home collection has also been chosen for the Caffè Baglioni, a contemporary reinterpretation of the cigar rooms of the 1950s. 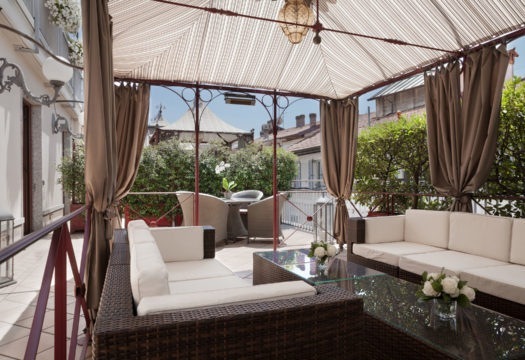 The Baglioni special edition armchairs with their enveloping design are covered in leather backed with patterned fabric, and in floral velvet. 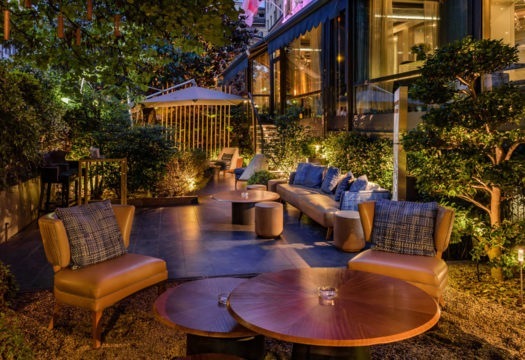 The custom tables feature aligned cords to create a refined grosgrain effect that also returns on the walls.